Most people believe that fleas are harmless to humans, other than being a little irritating. However, fleas can transmit disease and can cause some serious problems for humans. Below, you can find an overview of diseases that can be transmitted by fleas. The aged old question can humans get sick from flea bites is answered in the present from historical lessons. Can Humans Get Sick From Flea Bites – Let’s Find Out! One of the diseases that can be transmitted by fleas is Murine Typhus. Fleas that carry the disease are usually found on rats, but infected fleas can also spread to cats and bring the disease inside the home. 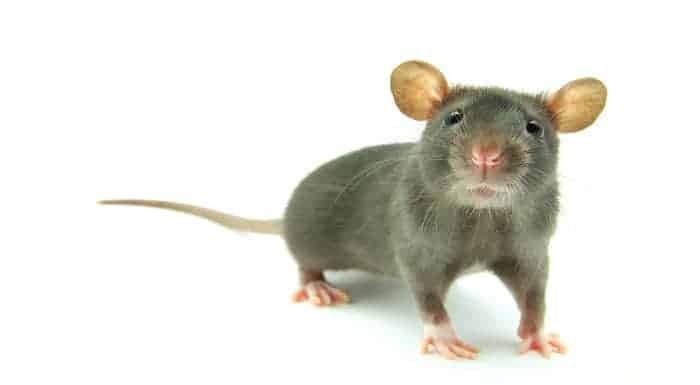 The disease known as Murine Typhus is transmitted through the feces of fleas, which are usually released during a flea bite. Then, the feces enter the bite and eventually end up in the person’s bloodstream. Typhus can cause some serious symptoms; this includes headaches, fever, nausea, aches and pains. The condition can also cause a rash, which usually starts around the abdomen and spreads to the legs and arms. Most cases of typhus can be treated with simple antibiotics. However, if you do not seek treatment in time, the disease can be present for several months. Fleas can also transmit a parasitic bacterial disease called Mycoplasma haemofelis. The disease is transmitted by fleas, tick and mosquito bites. 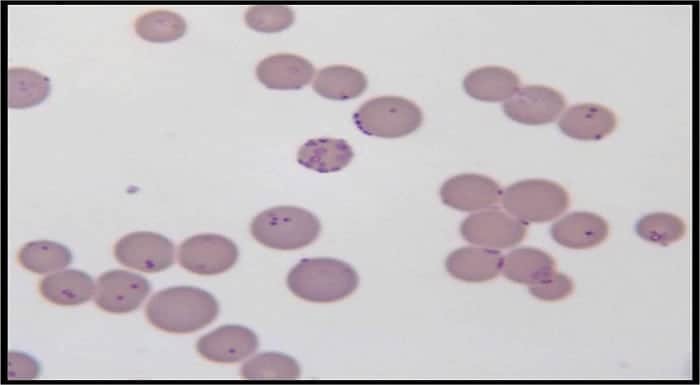 Mycoplasma haemofelis is a blood infection. The parasite attaches itself to the red blood cells in cats, leading the immune system to attack the red blood cells and causing anemia. A parasitic disease such as Mycoplasma haemofelis is more common in cats than in humans. However, the disease can be transmitted to humans, which is why taking care around infected cats is certainly advised. 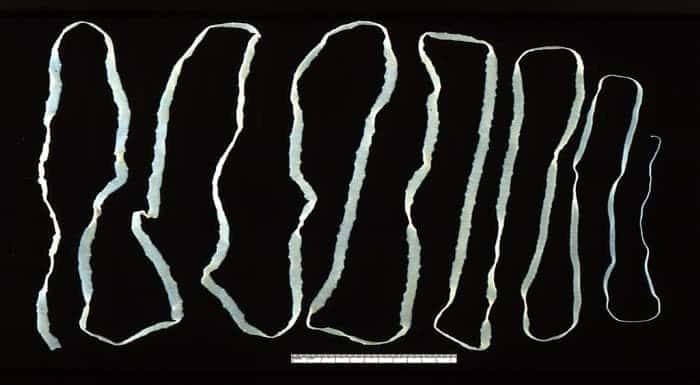 Another disease that can be transmitted by fleas is the tapeworm. The disease can be transmitted by adult fleas, but only if they are swallowed by humans. So, even though infection with tapeworm is rare, it is still a possibility. Tapeworm infections are more common in children than in adults, mainly due to the fact they play a lot outdoors. Fortunately, the treatment of tapeworms is easy, although it can take a while to detect. Fleas can cause some serious scratching problems in cats, which in turn could lead to something called cat scratch disease. It is estimated that this disease is experienced by 40% of cats, with only a small percentage showing symptoms of the disease. Severe side-effects of cat scratch disease in cats include red eyes, swollen lymph nodes, and a decreased appetite. The disease is transferred from cats to humans by biting or scratching. Even though severe problems due to cat scratch disease are rare in humans, there have been reports of blindness as a result. In extreme cases, cat scratch disease could affect the brain, heart, and other important internal organs. Since fleas can be the carriers of serious illnesses and diseases, it is vital to protect yourself and your home against fleas these pests. Apex Pest Control can provide pest control services, eliminating flea infestations in your home, subsequently keeping you and your family safe! Contact us today for more information. The Answer To Your Question – can humans get sick from flea bites? 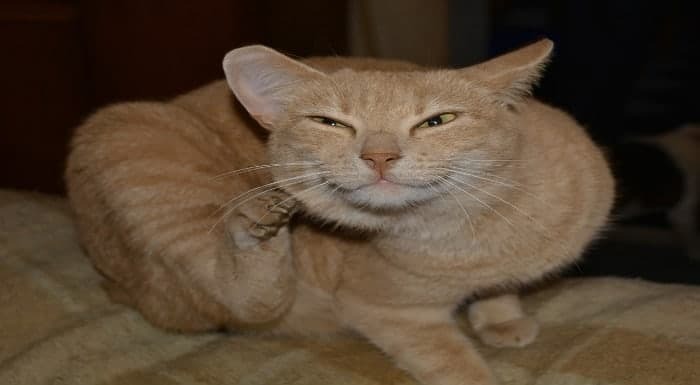 So the answer is yes, humans can get sick from flea bites and although we have many examples of the diseases in this and other articles, we don’t want to scare you. 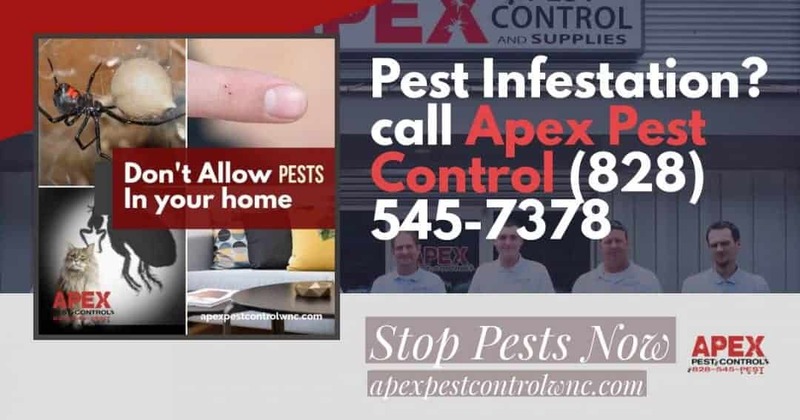 There are ways to protect yourself from flea bites and those best ways are of course using the Hostguard Flea Control System.